All the tools you need to magically marbleize paper and stickers! Just color, swirl and dip! 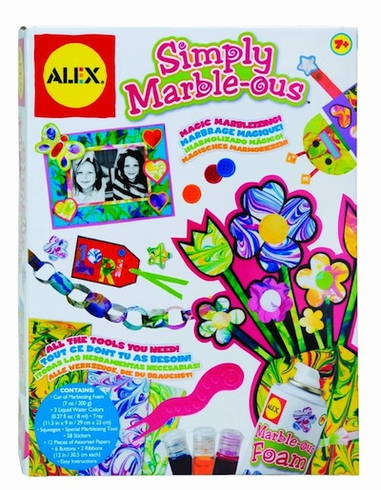 Includes marbleizing foam 7 oz, 3 liquid watercolors, tray, squeegee, marbleizing tool, 58 stickers, 12 papers, 6 buttons, 2 ribbons and easy instructions. Ages 7 and up.